Hear from the great adventure speakers, as well as watching some films from the Kendal Mountain Film Festival. You can watch this at Caernarfon’s own Galeri Caernarfon. Portmeirion is a fantastic Italianate resort on the shores of the Porthmadog estuary. It’s also a fantastic wedding location, the paradise location for any potential wedding. Being married here would be a dream come true – no doubt about it. This Wedding open day provides the ideal opportunity to explore this location for yourself on its FREE open day. 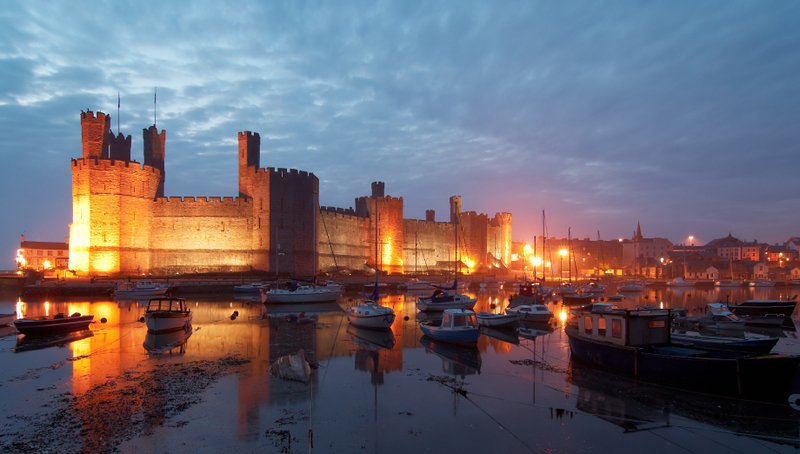 The town of Caernarfon comes to life with a banquet of foods of all variations. The festival will be taking place on the 11th of 2019. Any lover of food will do well to come to this absolutely fantastically located festival. Not only will you have the opportunity to sample food from all over wales, the UK and further afield around the globe. The town of Caernarfon is a great place to visit on any day, with its ancient stone walls, mighty historical castle and azure blue estuary. Galeri Caernarfon is hosting the award-winning movie Leo Houlding – the spectre expedition. Leo is a world renown climber, known for his daring challenges and feats. This time he’s tackling the most remote mountain in the world – Antarctica’s spectre. The challenge was captured in high definition for your amazement. The chance to walk to the highest peak of Wales on the most magical day of the summer – the solstice. The day will start in the very early of the morning, reaching 1,085m summit of Snowdon to watch the sunrise, revealing a brand-new day – a different opportunity to enjoy the natural and unique scenery of the beautiful Snowdonia National Park. The event is guided and supported by a team of experienced professionals and even includes breakfast at a great café after the walk is done. These are all fantastic locations to visit on a day trip from the awesome location of West Point beach resort.